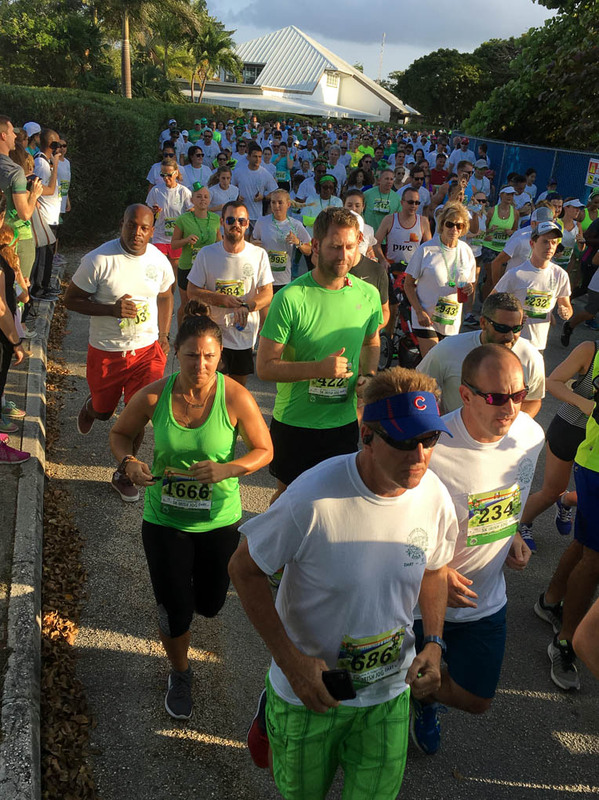 Grand Cayman’s annual St Patrick’s Day jog around the beautiful Britannia golf course is always a well-supported event, enticing young and old to run, jog or walk the 5k course. 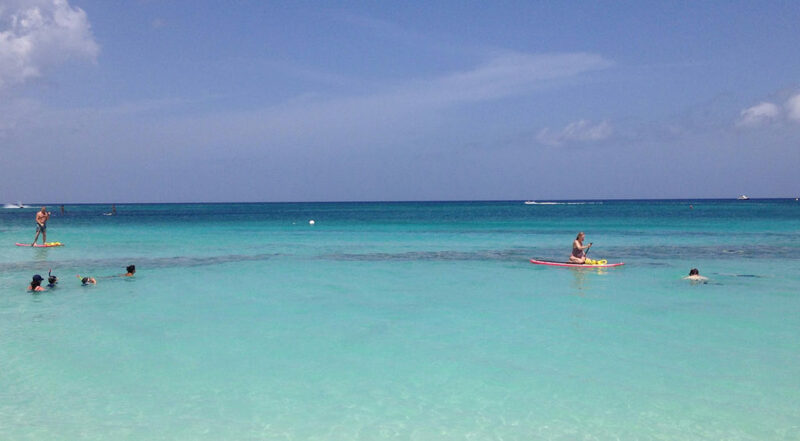 Grand Cayman’s St Patrick’s Day jog – all ready to go! Organised by Dart Enterprises and Butterfield, the jog encourages everyone to don their favourite Irish gear. Which this year included plenty of red wigs and beards, green tutus, green beads and leprechaun hats, and join in the spirit of a really fun event. There were a good handful of the 1,300 or so participants who took the race very seriously, running the course, which weaves itself up and down the gently undulating hills of the golf course, in amazing times. However, most were happy to jog along with friends, run with children in pushchairs, bikes or scooters, or just enjoy a slow amble as the sun was setting over this gorgeous part of the island. 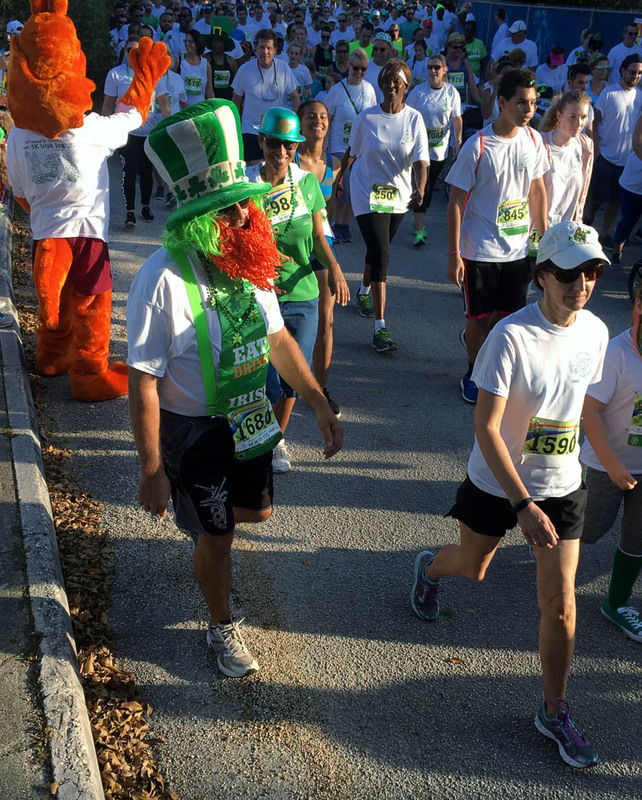 Grand Cayman’s St Patrick’s Day jog – dressing up was half the fun! Event participants paid CI$10 to enter and all received t-shirts and a race number and were entered into a draw that took place once the race was over. 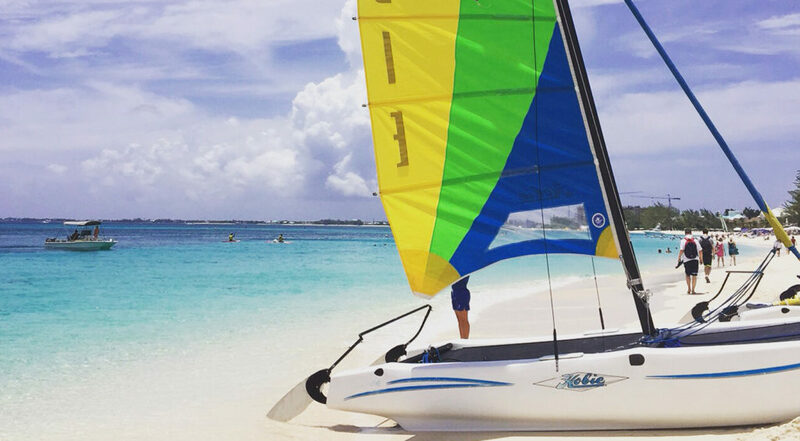 With great prizes such as trips to the Cayman Turtle Centre, sunset cruises and dinners at wonderful restaurants, all up for grabs. 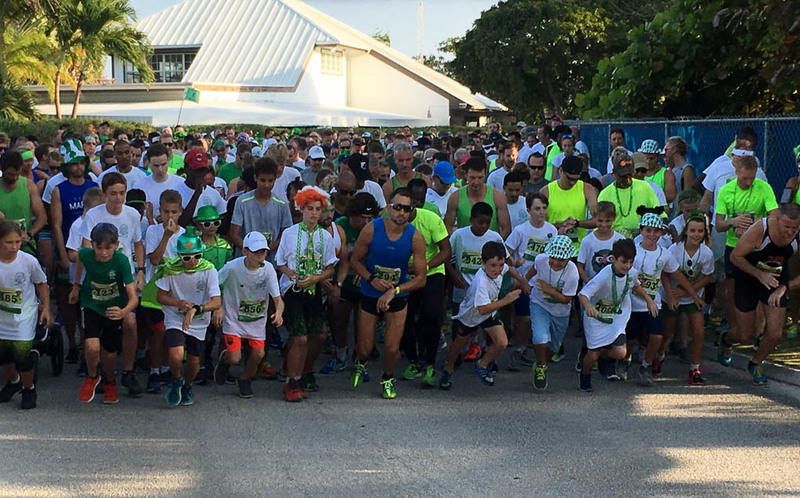 Grand Cayman’s St Patrick’s Day jog was a well-attended event. All in all US$15,000 was raised for ARK – Acts of Random Kindness, a brilliant charity that gives help to people in need all around the island.